We all know that running around big cities after dark is not safe. If you still prefer late hours running, wear bright clothes and headlamps, or even better, run in small groups. Nevertheless, there are still areas in Central London, which we would recommend you to avoid. Here are top 5 running places you want to avoid. There is a beautiful 12 mile loop through Hyde Park and Regent’s park, along the Regent’s Canal, where you can run. Just don’t go there after nightfall, because there are no lights along the canal and the housing area is also quite distant. Running in parks is enjoyable because of the fantastic scenery. Runners especially love the Hyde Park. Yet we recommend avoiding parks during the night, because gangs love to hang around there. 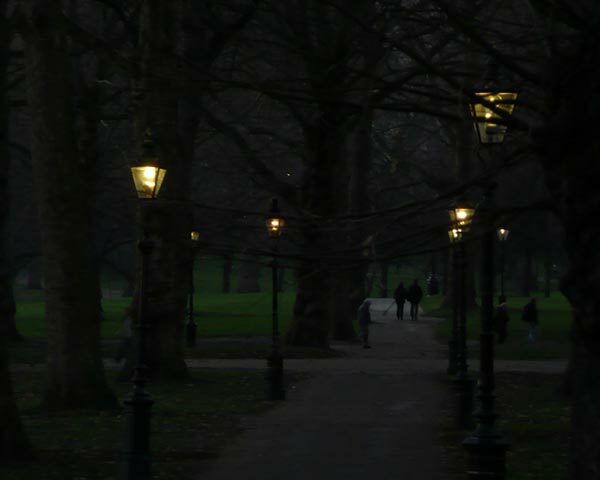 Especially critical are the ones that are not crammed with tourists during the day, like Victoria Park or London Fields. In general inner-city areas with a high concentration of state housing combined with high local youth unemployment and economic deprivation usually causes higher crime rates. The above areas are known for pickpockets that want to get their hands on your heart rate monitor, iPod or mp3 player. Therefore always keep your mobile phones and mp3 players in a secure inside pocket. London is busy. People are impatient because they are going somewhere, they wanted to be yesterday. Oxford Street is the busiest point in terms of pedestrian traffic and accidents are very common. Add the wheeled traffic, with crazy bus and taxi drivers and cyclist, and you will seriously think twice about going for a run there.